Laxus defeats Tempester before the demon can kill Yajima, learning that Tartaros is hunting former council members. Mortally injured, Tempester’s body disintegrates to be reconfigured at Tartaros’ headquarters, leaving behind a cloud of poisonous black mist. Laxus inhales most of the mist to keep his friends from being contaminated, but he is unable to save the town, which is quarantined. After Laxus and Raijin Tribe are brought to the guildhall to recover, Fairy Tail furiously declares war on Tartaros to avenge their friends. 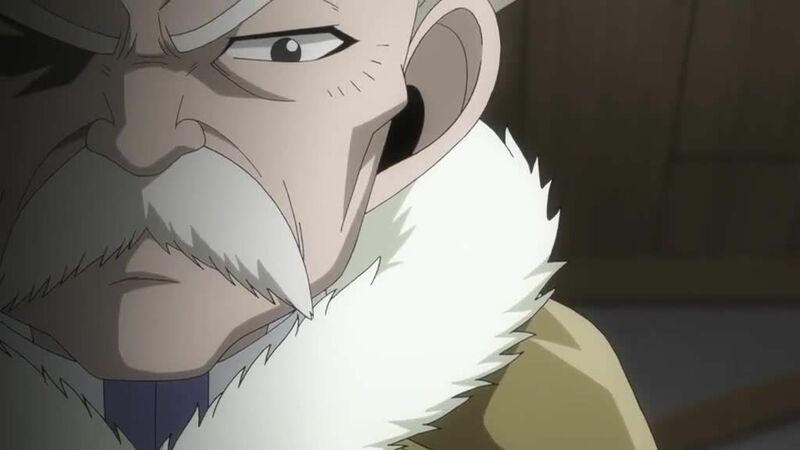 The guild sends several teams to the surviving ex-council members’ homes to protect them; Natsu’s team meets Michello, who thinks that Tartaros is after something called “Face”. Jackal destroys Michello’s house, but Natsu consumes the explosion and faces the demon.